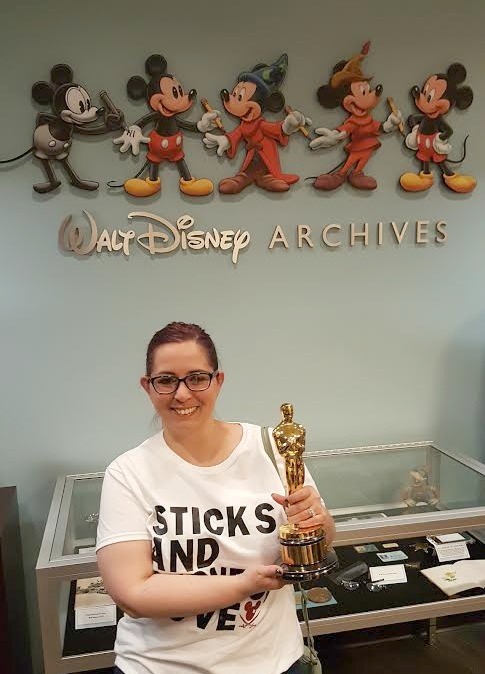 Recently while in LA I had the privilege of taking a peek into the Disney Archives. What exactly are the Disney Archives you may ask? 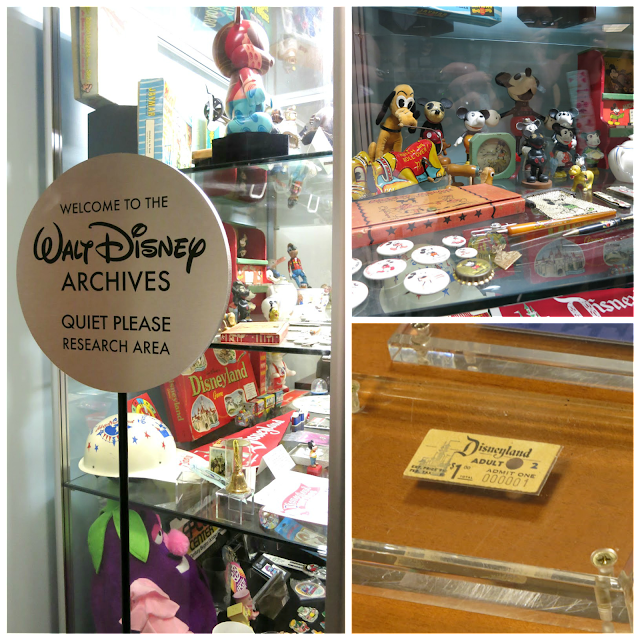 The Disney Archives began in 1970 and were started was then Dave Smith first cataloged Walt Disney's office. He wanted to preserve Walt Disney's office, by cataloging and taking pictures of everything so all would know exactly how Walt left it, even down to the books on the bookshelf they are exactly how Walt left them. The archives were meant to preserve all that is Disney from a 23 foot miniature of the Black Pearl ship, to the thousands of costumes from theme parks. There were so many great items there, I could have spent all day looking at them, we saw an original Walt Disney business card, and the very first ticket for Disneyland... Wow! I even got to hold one of Walt Disney's personal Oscar's. The Oscar is from the film White Wilderness from 1958. Boy is it heavy! Never thought Oscars were so heavy! 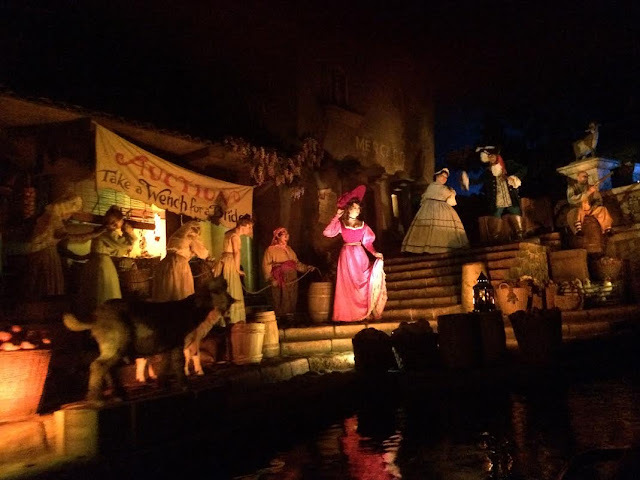 We learned some cool facts about the original Pirates of the Caribbean ride at Disneyland… Did you know that this ride was originally meant to be a wax museum filled with wax pirate figures? 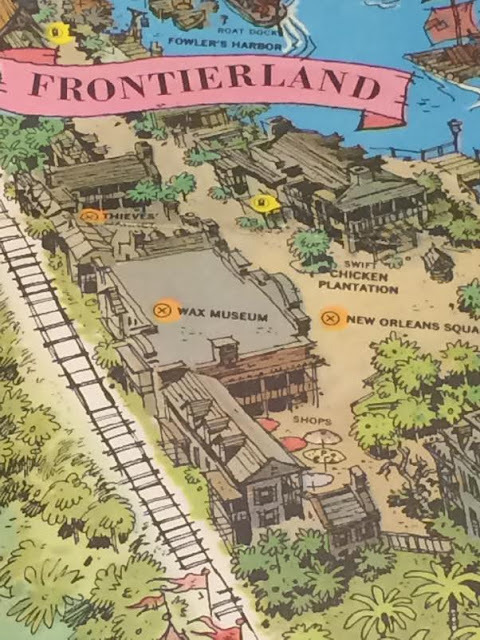 When the souvenir maps were printed in 1958 you can clearly see a building called “Wax Museum” this is what was originally imagined for Pirates. Imagine walking through the experience? Imagine the congestion and the crowds? Well, the Imagineers imagined this as well and changed up the idea of the wax museum. The building was made, but changes were coming. This was to be a boat ride and more than just a wax museum. Walt Disney loved the idea of making the characters animatronics instead of the stiff wax figures. The developers had to dig beyond the basement under the train tracks that is why there is a drop because this was built as a smaller area as the wax museum. Pirates of the Caribbean was the last ride Walt Disney ever looked over but he never got to ride. The ride opened just about a year after Walt died. 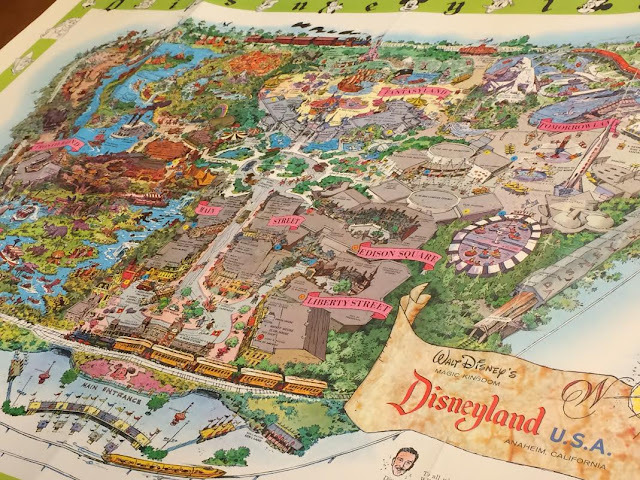 This year, the Disneyland ride is celebrating its 50th anniversary. The ride is extremely popular and has been since it opened. The Pirates franchise is so popular in fact that, Shanghai Disney land has a park itself dedicated to Pirates of the Caribbean, wow that would be amazing to visit one day! Just lovely and as amazing as you can imagine. But we are here to check out the classic ride Pirates of the Caribbean first, we headed there and we were all so very excited. I have to admit I have ridden this ride in the past and it is by far the BEST version of Pirates of the Caribbean ride, it blows the Disney World version right out of the water. From the 2 drops to the added scenes the Disneyland Pirates is just amazing. I am not saying the Florida version is bad, this Disneyland version is just the more awesomesauce version of POTC. 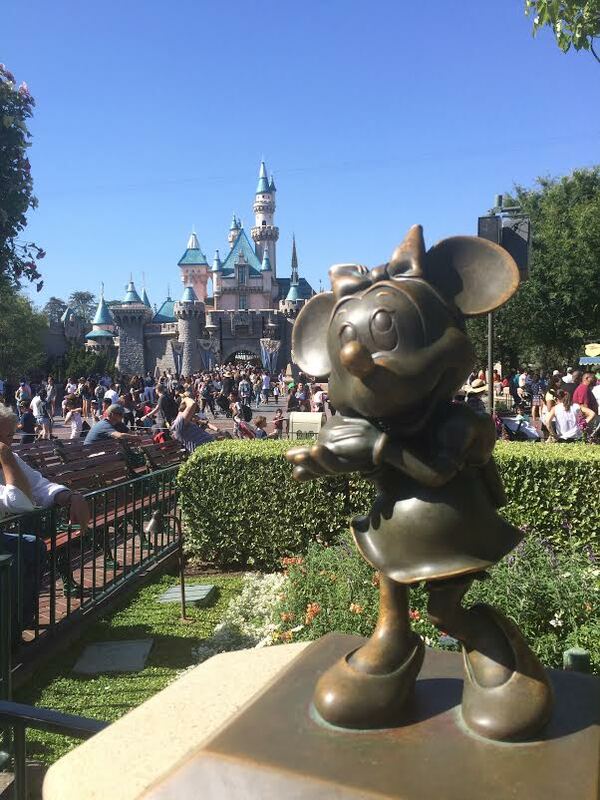 We strolled Disneyland and took in the sights stopped for some great food and drinks. Had lunch at the Hungry Bear Restaurant the food was delicious and fresh. 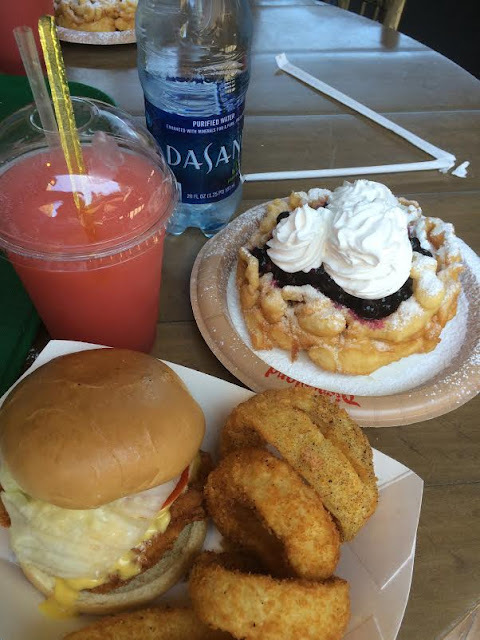 From a frosted lemonade to a chicken sandwich with onion rings (that were the best onion rings I ever had) to a sweet lemon blueberry funnel cake this was plenty to get us fueled up for a day of fun. 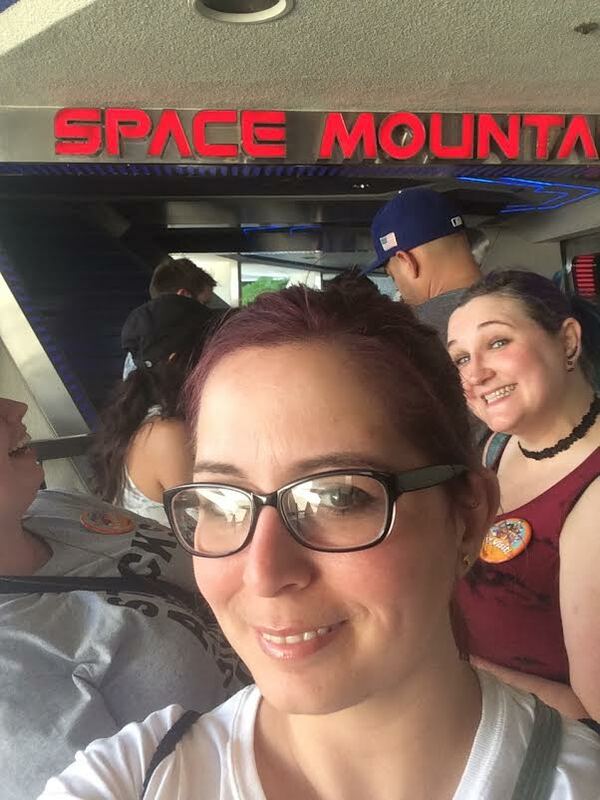 Of course, we had to check out more of Disneyland, I was looking forward to riding some of the classics, The Haunted Mansion, and Space Mountain which at the time was had a layover of HyperSpace Mountain, the Star Wars theme and I was even more excited to ride. Having never been on this before, it was a bit scary (I am a bit of a ride chicken) but I survived and it was fun. The Dapper Dan's were happy to stop and take a photo with us, it was a lot of fun. 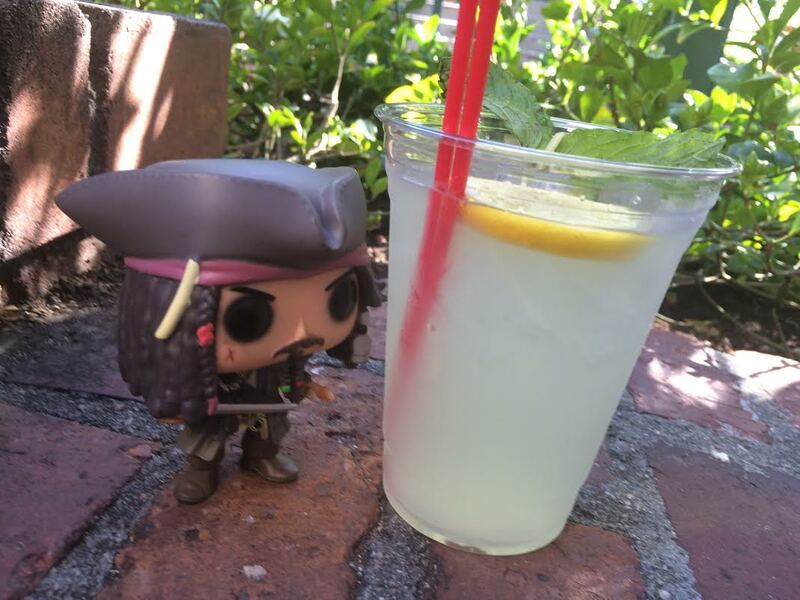 With all of this traveling around the park, I simply had to stop for a refreshing Mint Julep, and Jack did too! While at Disney’s California Adventure I stopped by the 4-D Pirates of the Caribbean: Dead Men Tell No Tales sneak peek. Now through June 4, 2017, if you are at Disney’s California adventure be sure to stop an watch a 14-minute preview of this thrilling high-seas adventure. The film, presented in 3D with special in-theater effects. 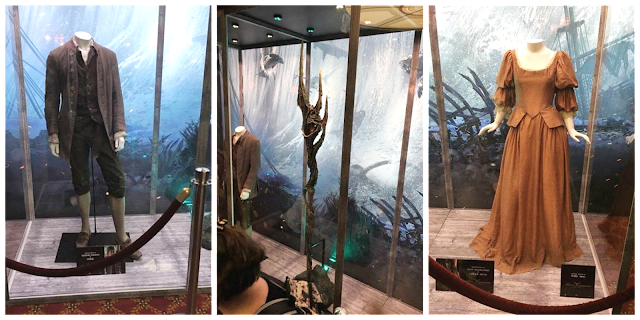 There costumes and props on display located in the Sunset Showcase Theater in Hollywood Land. The preview plays continuously throughout the day. It was neat seeing the extended clip, with the special theater effects, I don’t want to spoil anything, but you may get wet, that is all I am saying… You also have the chance to check out a few props from the film, including the trident, and some costumes from the movie. 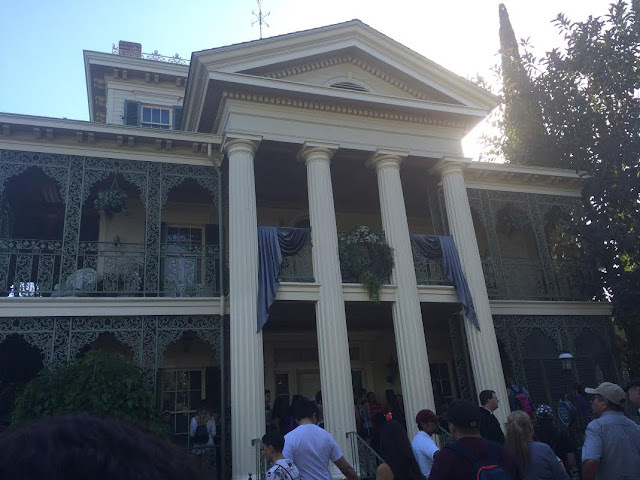 While at DCA I went and looked at the new Guardians of the Galaxy – Mission: BREAKOUT!, this ride was not open at the time, but it now open! I will be checking this out next time for sure! Now you are able to meet some of the characters from the “Guardians of the Galaxy” film, some appearing for the first time in a Disney park! Also join with the Avengers for all-new, epic adventures during Summer of Heroes which is going on right now. The Summer of Heroes will have California Adventure rocking with, Super Hero Encounters, “Guardians of the Galaxy: Awesome Dance Off”, “Avengers Training Initiative”, “Disney Junior Dance Party!” and much much more! 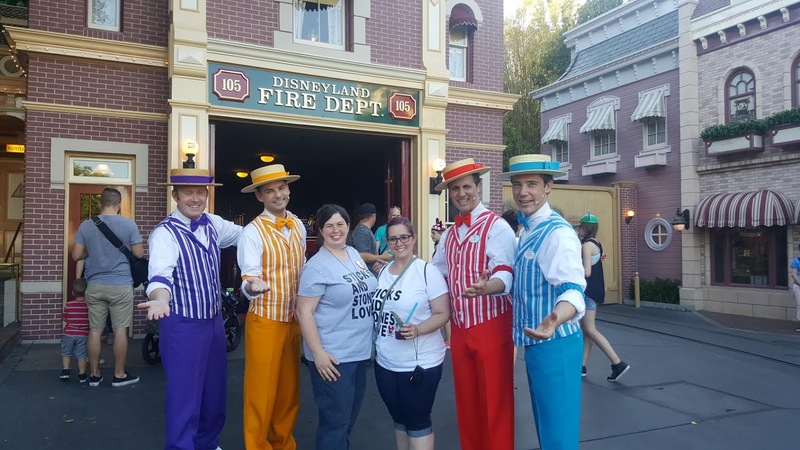 Along with the great new meet and greets, new ride and events there will also be special themed merchandise, plus food and beverage items will be available throughout Hollywood Land! Be sure to visit Summer of Heroes to find out more and plan your trip this summer! The day was magical and I can’t wait to share all of this fun with my family when we head back to Disneyland & California Adventure we will be seeing you real soon! Pirates of the Caribbean: Dead Men Tell No Tales is now playing in theaters everywhere! What an amazing opportunity! Walt Disney was such a genius. It must have been amazing to see all of that history. Oh my gosh, that is so amazing. We are a huge Disney family. We have been for years. I would love to see all of that Disney historical amazingness up close. What an amazing experience. I'm so happy that it is more than just a wax museum. I can't imagine walking through all of that! So cool!!! We just booked our first trip for the fall. I'm SO excited to ride the new Gaurdians of the Galaxy ride. This looks like it was so much fun! I would love to go and see all of the behind the scenes of POTC because I love that series. I'd love to check out the archives! Walt Disney is so iconic and it would fun to see some of the original items and plans. Wow, what an awesome opp! I would love to explore Disney and go behind the scenes. That is a once in a lifetime chance. So awesome! Looks like you guys had a super fun trip! I can't wait to ride the new rides!!! The archives would be amazing to check out. I am hoping to go to Disneyland this Winter. The kids will be so excited. I can't believe you'd never been before! My family LOVES Disney! Your trip looked fantastic! We saw the pirates ride at Disney last fall. The whole place was magical. Disney is so much fun. 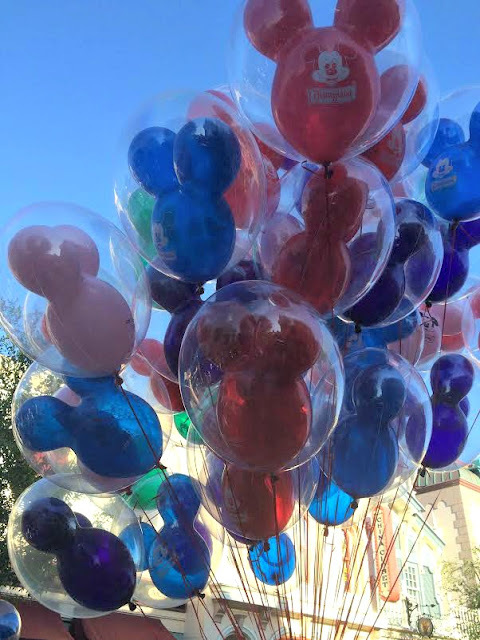 We have been to Disney World Many times, but never Disneyland! It's on our agenda for next year! That's so amazing!! 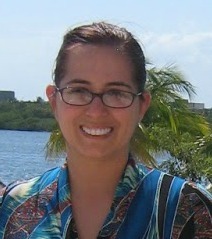 I can't wait to go back this summer! It was a treat to see this through your photos. There were a lot of interesting places. I would love to visit the Walt Disney Archives. It would be like stepping back in time. What an awesome experience. I love the clip with Johnny Depp surprising the fans. This looks like so much fun. I remember watching Disney movies when I was a child on Sunday nights. Would be fun to see some of this. The archives look so neat. This has definitely made my desire to go that much more! Thank you for sharing this. The pictures are great and makes me really want to go to see the new additions. This looks like a lot of fun. I have never visited Disney but would love to. What a wonderful day! Pirates of the Caribbean was absolutely one of my favorite attractions at Disney. I do hope to see it again one day. 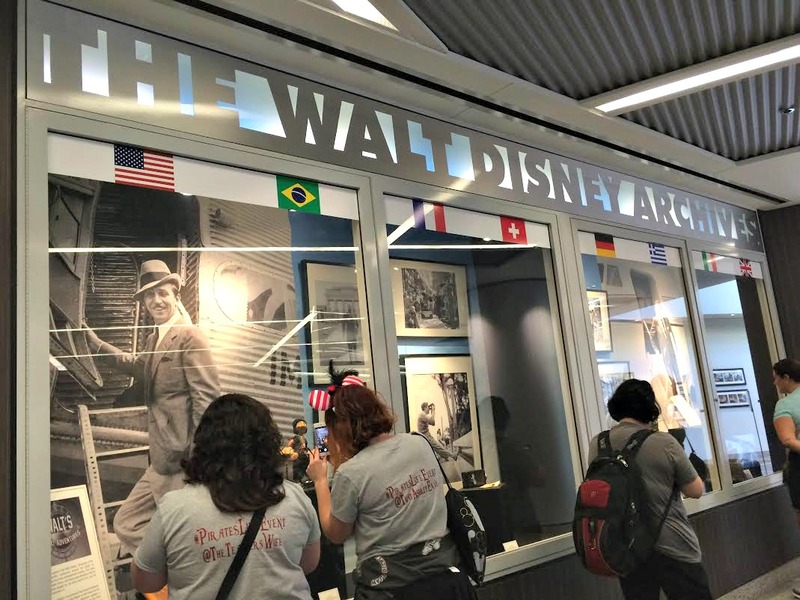 I've never been to Disney but the Archives looks like a fun way to learn about it. MISSION BREAKOUT IS A MUST RIDE!! !